How does the education of your parents relate to that of your spouse? 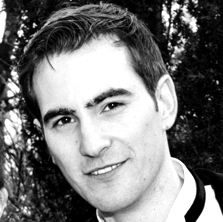 The Level of education plays a significant role in how we choose a partner. But how does the level of education of our parents relate to how Americans marry? 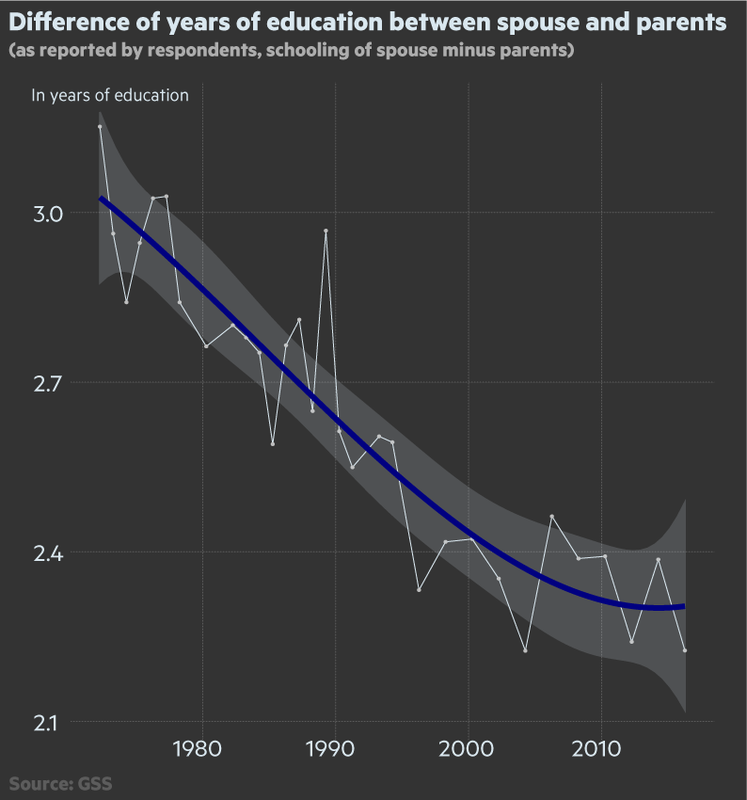 It turns out that the gap of length of education between spouse and parents used to shrink and now seemed to have stopped further converge. Also the analysis shows that mothers used to attend school longer than fathers in the past, but the reverse is true today. Men and women tend to choose one another with similar educational achievements in mind. Yet, since educational achievements are many times supported - one could say “pushed” – by parents and their achievements, I was interested in how parents’ education compared with those of peoples’ spouses. The General Social Survey offers data that goes all the way back to the 1970ies and consists of 62,466 responses across various questions. Interesting for this piece is how respondents answered to the questions of how many years their father, their mother and their spouse went to school. The average spouse in 2016 went to school 14.13 years, 2.2 years longer than his or her parents. 44 years ago, this difference was much larger. The assumption is that earlier generations had fewer opportunities. In 1972, people chose a spouse with a school career of 12 years on average. The gap between spouse and parents accounted for 3.15 years. The difference shrunk over the years, logical so, as generations developed. Slowly over time, both current and past generation could pursue the same opportunities in education. Yet, within the last ten year, this contracting trend seems to have come to a halt and flattened (note the polynomial trend line). The convergence stagnates at 2.25 years of schooling. Now, this could have multiple explanations, which require more research. But the fact that the trend slows, should be noticed. A second observation concerns only the parents. 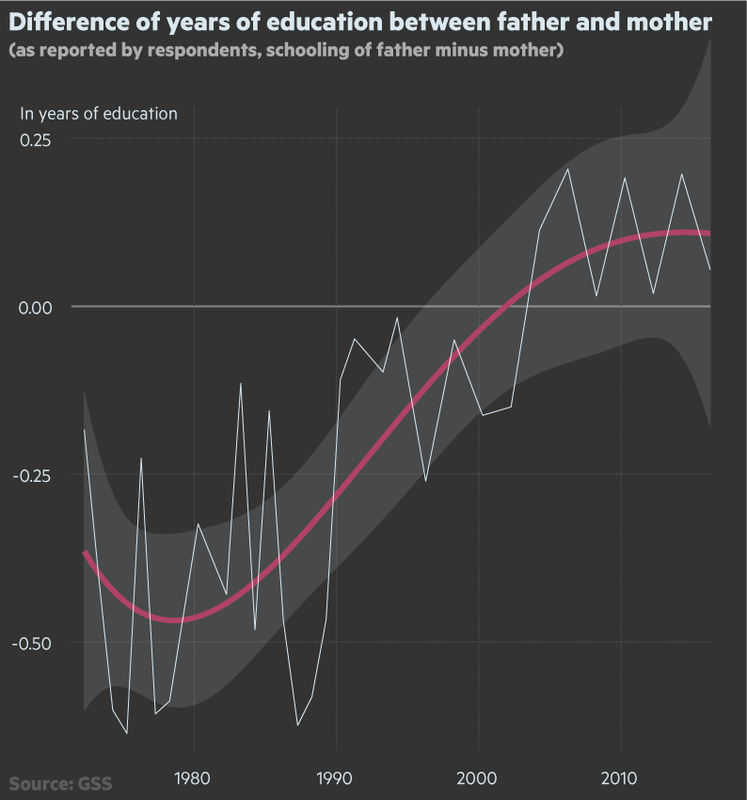 It looks at the difference between fathers and mothers’ reported periods of schooling. The analysis revealed that mothers were reported to have spent longer at school on average until 2003. From 2004 onwards, the trend reverses and fathers have a longer schooling career. Since 2004, fathers are reported to attend school 0.11 years longer than mothers. Note how the trend-line suggest a cooling, seemingly settling at the mark of 0.125 years or 45 days, fathers spend longer swotting than mothers. What does this mean? Email me, I am hooked to find out.